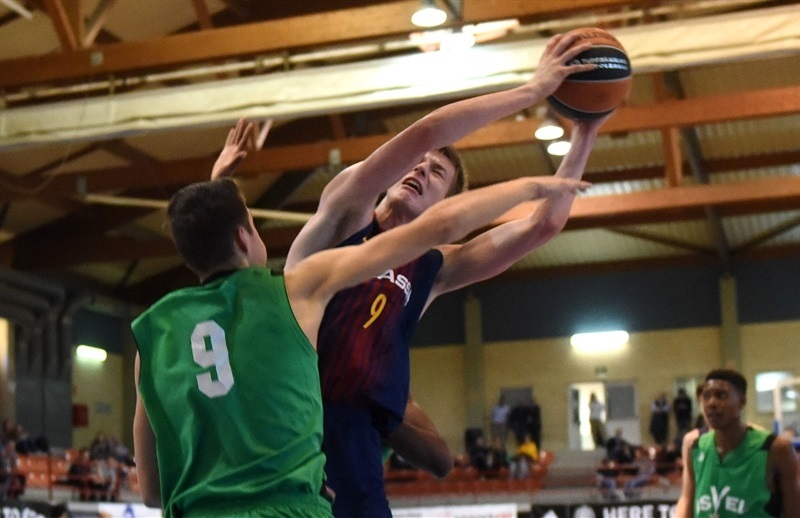 U18 FC Barcelona Lassa took the first step to defending its title at the Euroleague Basketball ADIDAS NEXT GENERATION TOURNAMENT Ciutat de L’Hospitalet by surviving a tough fight with U18 ASVEL Villeurbanne 87-81 in Group B. Luka Samanic collected 27 points, 14 rebounds, 6 assists, 2 blocks and 12 fouls drawn for an index ranking of 42 to lead Barcelona. 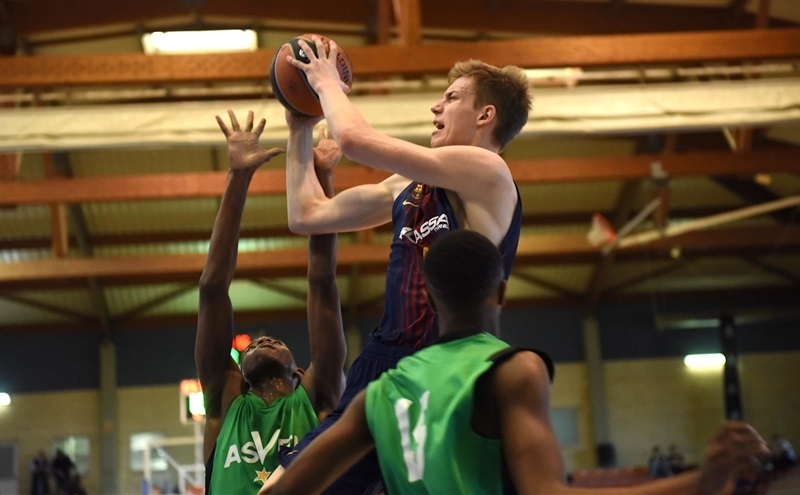 Nikola Zizic added 19 points, 12 rebounds and 2 blocks for the winners, who also got 12 points from Borja Fernandez. ASVEL dropped the game despite Theo Maledon picking up 24 points, 4 rebounds and 5 assists while Malcolm Cazalon had 22 points and 10 rebounds in the loss. 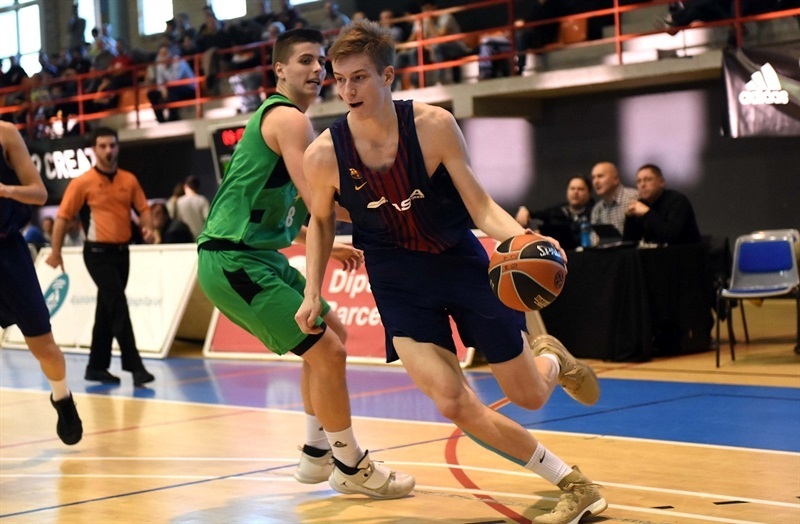 Barcelona started on fire and Samanic and Zizic combined for 16 points in opening a 20-4 lead. Maledon countered with 5 points at the other end as ASVEL cut the gap to 22-12. Barcelona did not let up and was up 27-16 after 10 minutes. The Barcelona bench kept up the attack and David Font’s 4 points helped push the margin to 40-19. ASVEL was able to trim it 42-26 but trailed 47-28 at intermission. 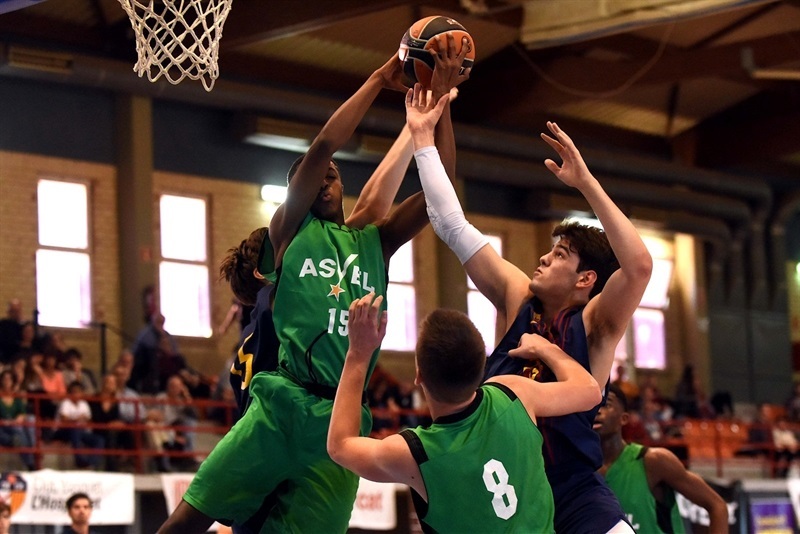 ASVEL opened the second half with a 3-8 run to make it 50-36 but Font knocked down two three-balls and the cushion was still 62-47 before ASVEL closed it to 62-54 - and it was 64-54 after 30 minutes. Zizic increased the lead to 72-59 but ASVEL would not give up with Cazalon and Maledon both hitting from long range in getting the deficit to 75-72 with 2 minutes left. Samanic and Zizic however combined for 5 points in pushing it back to 82-74 to finish off ASVEL.